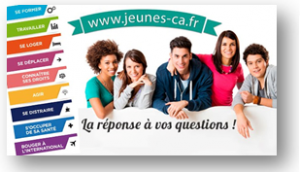 The Regional youth information center of Champagne-Ardenne (Centre Régional Information Jeunesse (CRIJ) Champagne-Ardenne) is a non-profit organization located in Reims, a city of 200 000 inhabitants. Reims and its surroundings are not only known for the famous sparkling wine – champagne, but also invite to discover a wide variety of the UNESCO-protected cultural heritage destinations. CRIJ Champagne-Ardenne provides all type of information that is relevant for young people between 12 and 30 years old. The center is responsible for a network of 30 Information desks in the area. At the same time, it develops different activities about Europe and international mobility programs. Therefore, CRIJ Champagne-Ardenne supplies 3 axes of specialized information: professional life; daily life; Europe and international mobility: « Europe Direct Information Centre ». The main roles of the center are to produce and spread documents and information for young people in order to be them self dependent in their choice. At the office youngsters can get information for their studies, accommodation, leisure time and other. Moreover, our information service is open to everybody, thus, everyone has the right to enter the center without a prior appointment. Person who is looking for the information can either freely consult material displayed or ask an assistance from one of the educators working here. 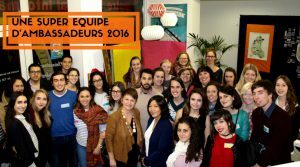 As a coordinating organisation, CRIJ Champagne-Ardenne as well provides a second mentorship for EVS volunteers, keeps in touch with them throughout their projects in order to ensure that everything is going fine and to work further on their personal development. Moreover, to make easier the integration of its volunteers, the center includes them into various activities during the whole year. 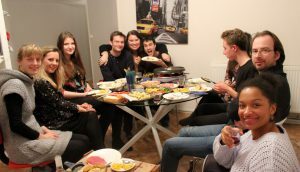 For example, CRIJ organizes thematic « Café des Volontaires » which is an occasion for the current volunteers to meet each other as well as to get to know and to exchange their experiences with former French volunteers who have already done their EVS. Furthermore, all the volunteers implementing their EVS projects with CRIJ Champagne-Ardenne are welcome to take part in the information campaign « European Ambassadors« during which they visit schools in order to raise awareness of young people about the European Union and the different types of European mobility programmes. 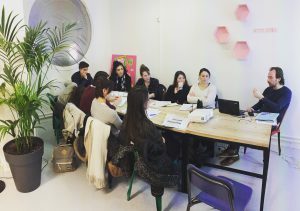 At the end of the EVS project, the center provides a support to the volunteers regarding the « YouthPass« . During the meeting practical information is provided so that volunteers would realize and would express correctly all the competences they have acquired during their EVS project. Therefore, if you would like to gain new skills and many positive experiences during the European Voluntary Service in France, Iet’s start your EVS project with us! You have to download it and open it with Adobe Reader. Then save instead of clicking on submission. Send it to contactsve@crij-ca.fr with your CV. felis efficitur. facilisis massa nunc elit. leo.